You need a minimum of 500mm overhang at each end of your table, more is better! 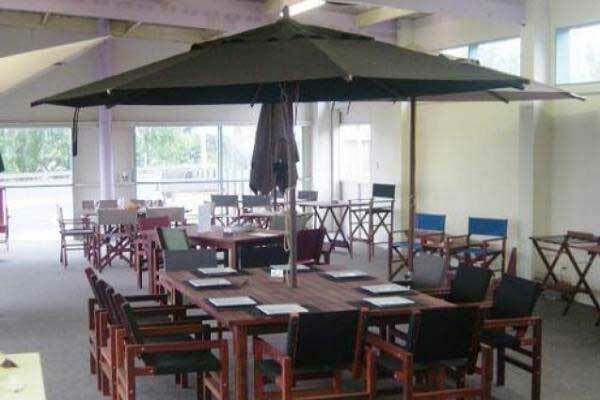 If you have a 2.4 metre table, you'll need a 3.5 metre umbrella; a 1.8 metre table needs a 3 metre umbrella. 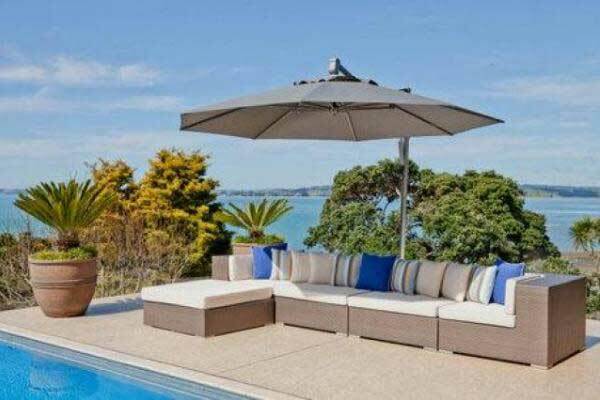 An acrylic canvas cover, like our patio or cantilever umbrellas, is guaranteed for 5 years against rotting or fading and gives sun protection equivalent to 40-50SPF sunscreen. An Olefin cover is guaranted for a year against rotting or fading, and gives sun protection equivalent to 30SPF sunscreen. We provide very competitive rates for Nationwide or International deliveries. Bulk discounts available for corporate or commercial customers. We now have Shade7 umbrellas, and have the Horizon cantilevers, the Monaco aluminium parasols, and the new, light-to-handle fibreglass Venice umbrellas on show here. 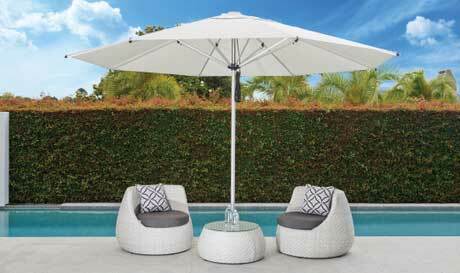 These Shade 7 cantilevers are an excellent quality product, with a heavy polyester cover. Also available in a 3 metre octagon at $2190, or 3 metre square at $2290, including the box base. If you take the umbrellas with a deck or concreted-in installation kit, they are $500 cheaper than if you have the box base, which also needs pavers. You would need to reinforce the deck substantially, these are a big heavy item and you can't just screw them down to 19mm decking! 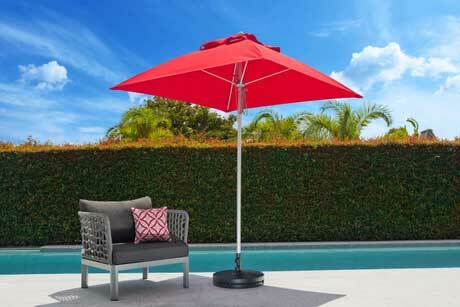 Umbrellas come in sizes from 2 to 3.5 metres and in 20 Planasol colours. This one is a 3.5 metre, 2m $535, 2.5m $685, 2.7m $745, 3m $835.